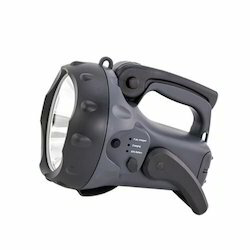 Our product range includes a wide range of intrinsically safe led dual search light, rechargeable long range led search light, handheld led searchlight and portable lighting. 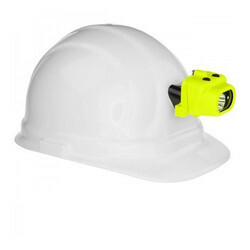 XPP-5454GC Intrinsically Safe Dual-Light™ Headlamp w/Hard Hat Clip Mount This 3 AAA Intrinsically SafeDual-Light™ Headlamp w/Hard Hat Clip Mount is cETLus, ATEX, INMETRO and IECEx listed Intrinsically Safe. This headlamp features a multi-position tilt head design and includes an integrated Stainless Clip and adhesive hard hat mounting bracket for hands-free operation. 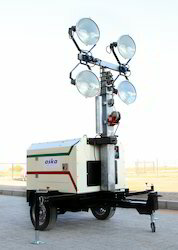 The dual top mounted switches provide user-selectable high or low-brightness spotlight, high or low-brightness floodlight operation and our exclusive Dual-Light design…the ability to turn on both the spotlight and the floodlight at the same time for maximum user safety and lighting versatility. Power comes from 3 AAA premium batteries (included). High Power Spotlight Min 180 Minutes. Middle Power Spotlight Min 180 Minutes. Low Power Spotlight Min 9 hours. SOS Signal Blinker Min 5 hours. Our Company is one of the reputed names in the market for offering a wide assortment of Rechargeable Long Range LED Search Light at very affordable rates. 10W CREE LED High Power. 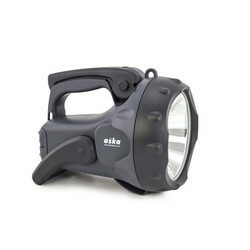 The search light is equipped with speciality designed handle which can be used in two position. Equipped with Lithium ION battery. The search light comes with adjustable stand in addition to handle. Power source: Lithium ION battery total capacity Minimum 5800 mAh pack. Dual recharge, either AC/DC charger or 12V DC car adaptor. Has built in 3 LED functions indicator.